Dark Horse’s Lobster Johnson one-shots and miniseries have delivered consistently excellent stories heavily inspired by the pulp narratives of the ’20s and ’30s, teaming writers Mike Mignola and John Arcudi with artists that bring considerable style to the stories. 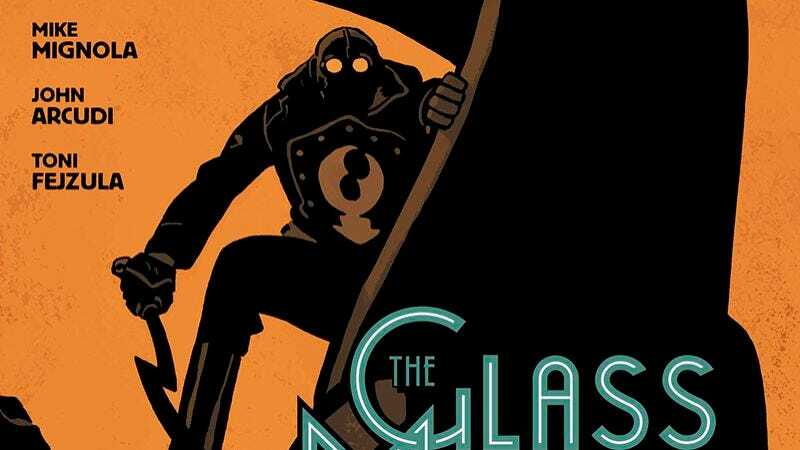 This week’s Lobster Johnson: The Glass Mantis unites Mignola and Arcudi with artist Toni Fejzula; Fejzula is a newcomer to Dark Horse’s Mignolaverse, but no stranger to horror comics after working with Greg Rucka on the Veil miniseries. He made a big impression with his bold, atmospheric art on Veil, and his skills have only become sharper in the year since that book’s conclusion, with his linework gaining more detail and his coloring becoming more nuanced and textured. These preview pages highlight all those visual attributes as they thrust the reader into a museum murder attempt, making for a striking start to Lobster Johnson’s latest case.